Much of the artwork of Kathy M. Lovelace is “functional art” consisting of original acrylic paintings on small furniture and accessory pieces. 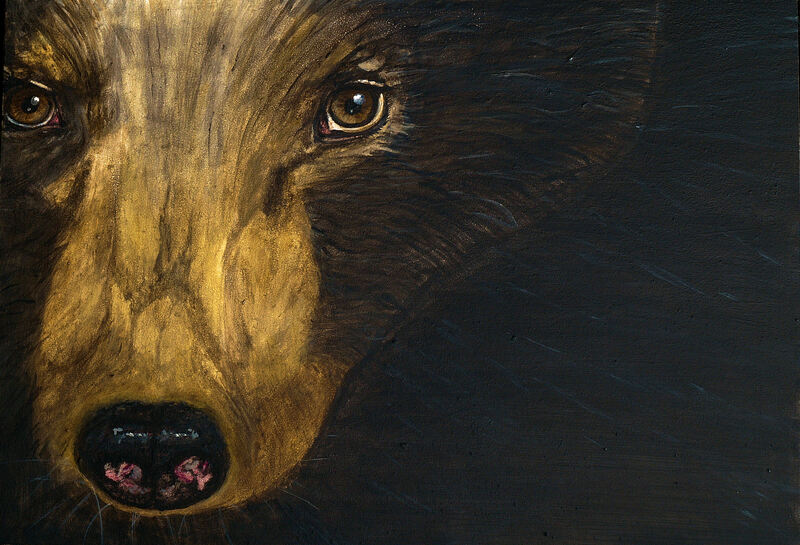 She also paints on 2-dimentional canvas that can be framed and hung on the wall of your home, cabin or office. 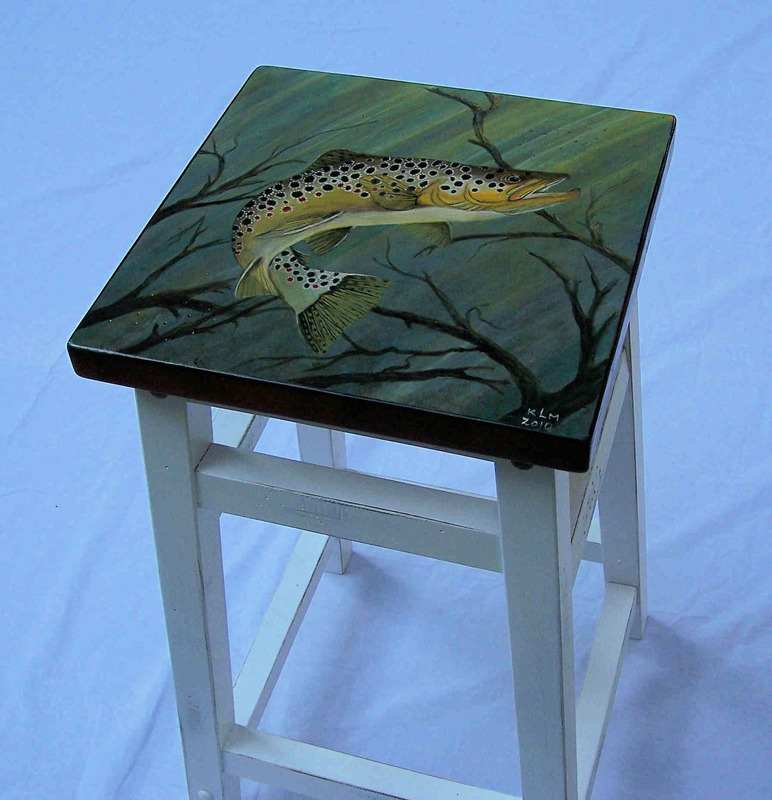 Her paintings often depict trout swimming in their natural habitat. She also paints landscapes featuring fishing scenes. 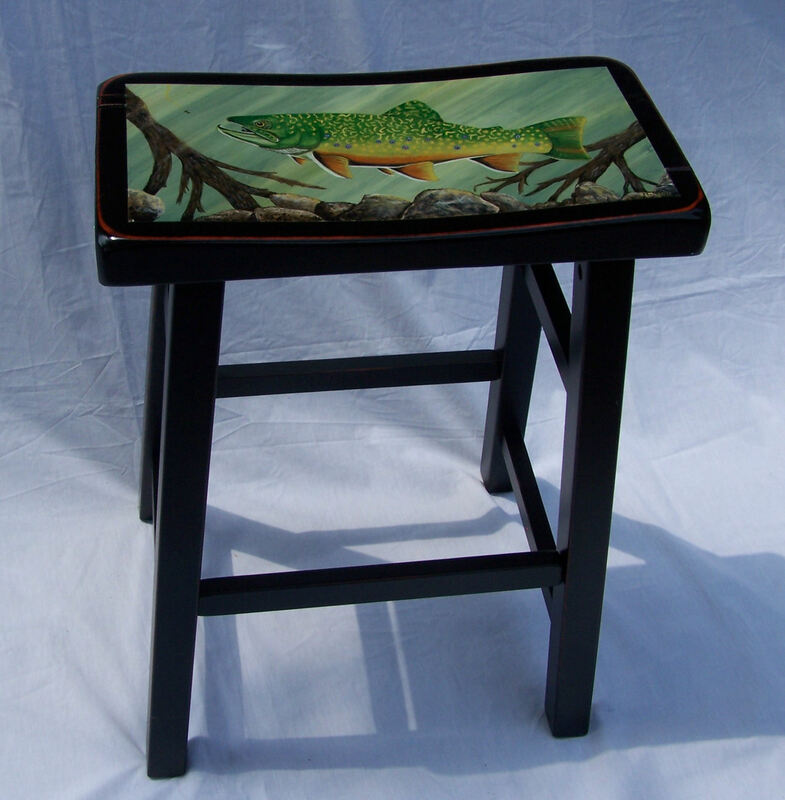 Each functional art piece is an original work of art which is hand painted on a small wooden item such as a tray, stool, or box. The painted surfaces are covered with ten coats of polycrylic so that each item is completely functional. 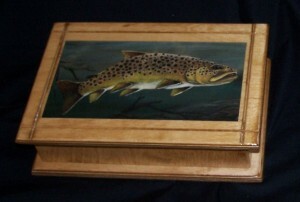 You can safely use your item without fear of damaging the underlying painting. 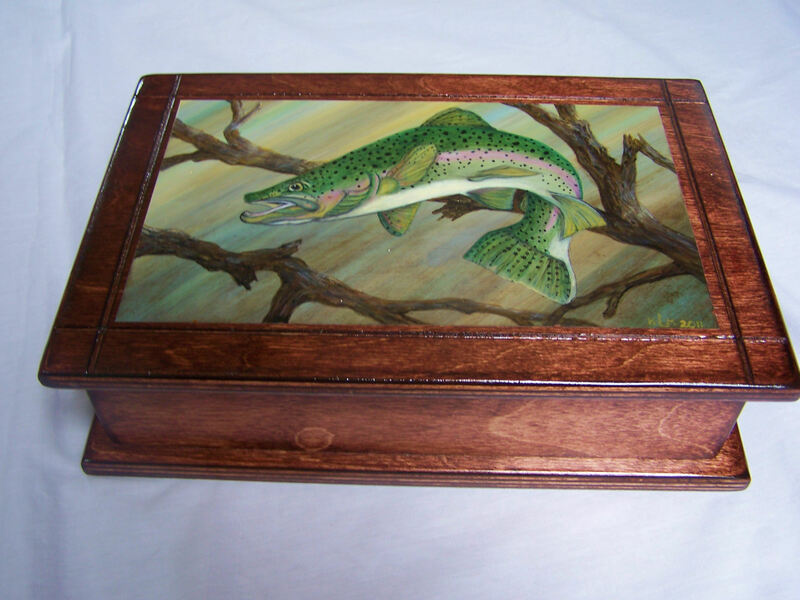 These painted furniture pieces make wonderful gifts for the fly fisherman or outdoor enthusiast and will look beautiful in your home, office or cabin. 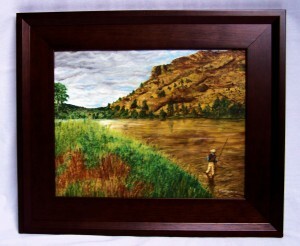 To purchase existing pieces as seen on this website, please contact Kathy directly at klovelace10@aol.com. Kathy’s work is also on display and available for sale at The Art Market Gallery in downtown Knoxville, TN and The Summer House. furniture and design store in Highlands, NC. Prints of many of Kathy’s paintings can be obtained on www.FineArtAmerica.com.